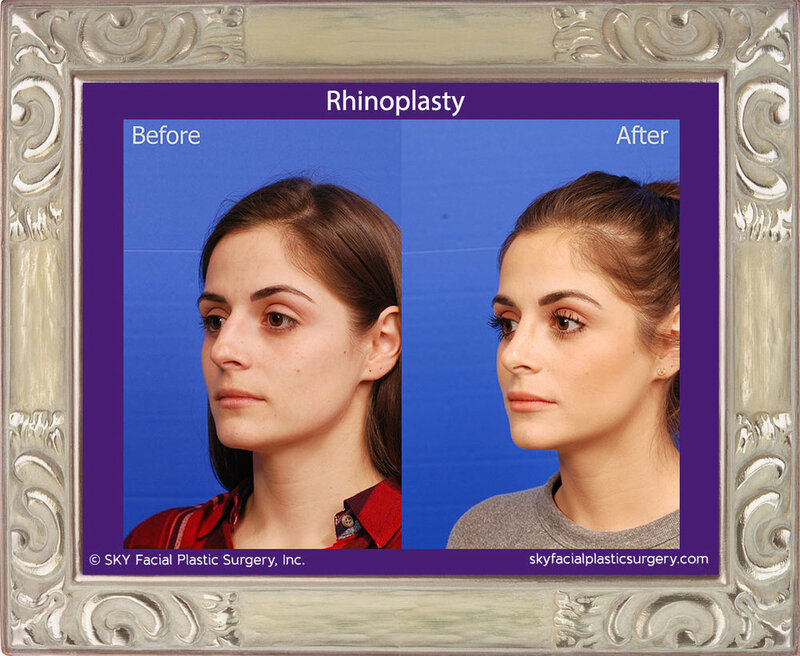 Rhinoplasty is a surgical procedure to change the external structure of the nose for cosmetic and/or reconstructive purposes. 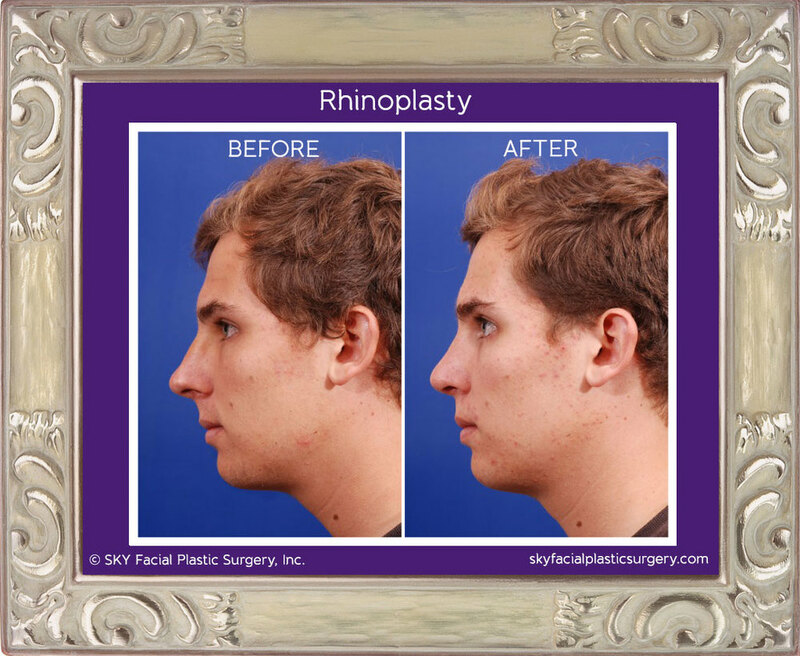 Usually, our patients have a combination of areas they want to change with their nose. 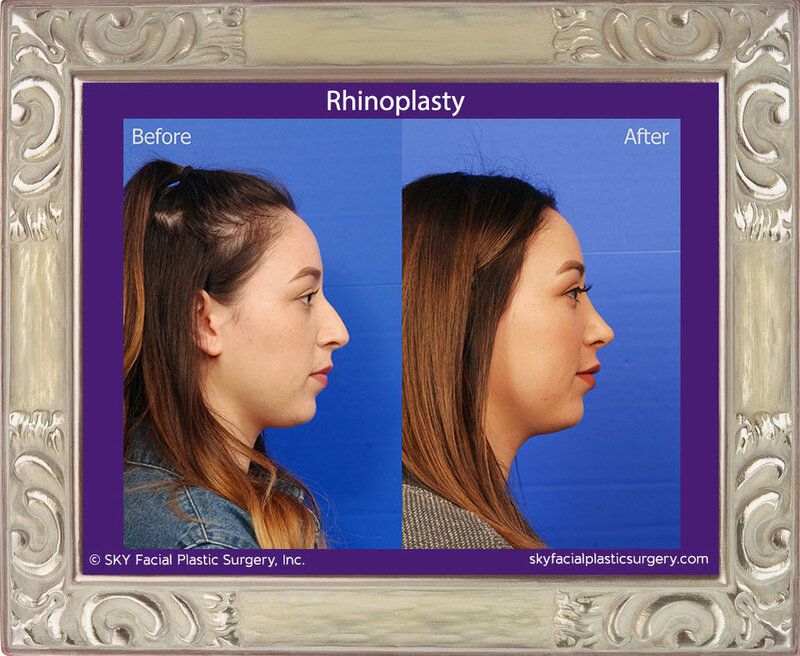 The most common changes people request are dorsal hump removal, making the nose straighter, smaller, narrower, or more defined. 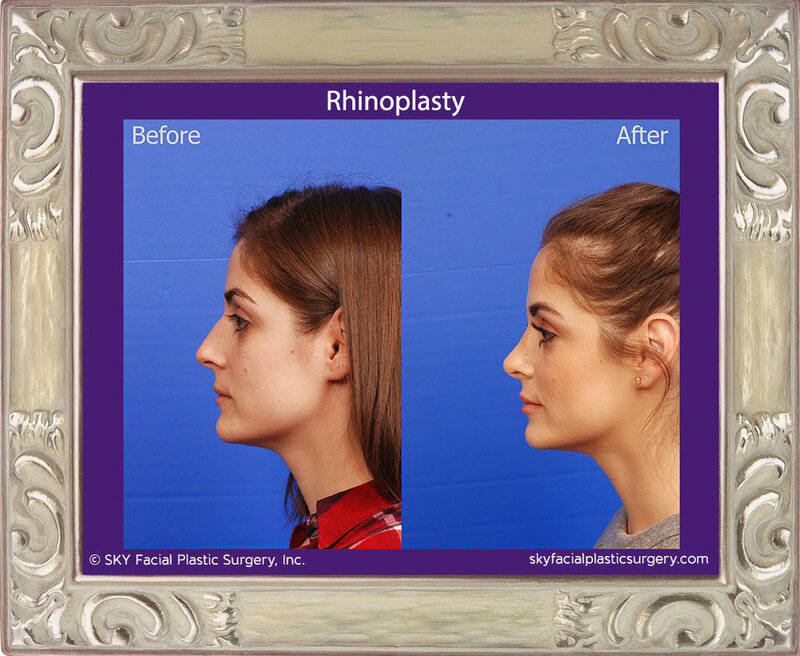 However, all of our patients share a common goal: a natural-looking nose that is in better harmony with the other structures of the face. 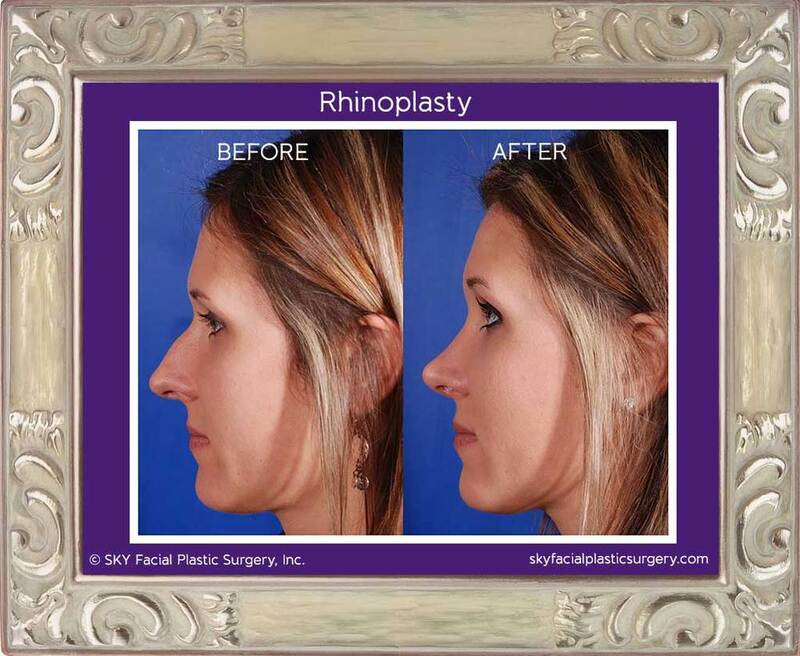 A nose that looks good on one person may not be as attractive on another. 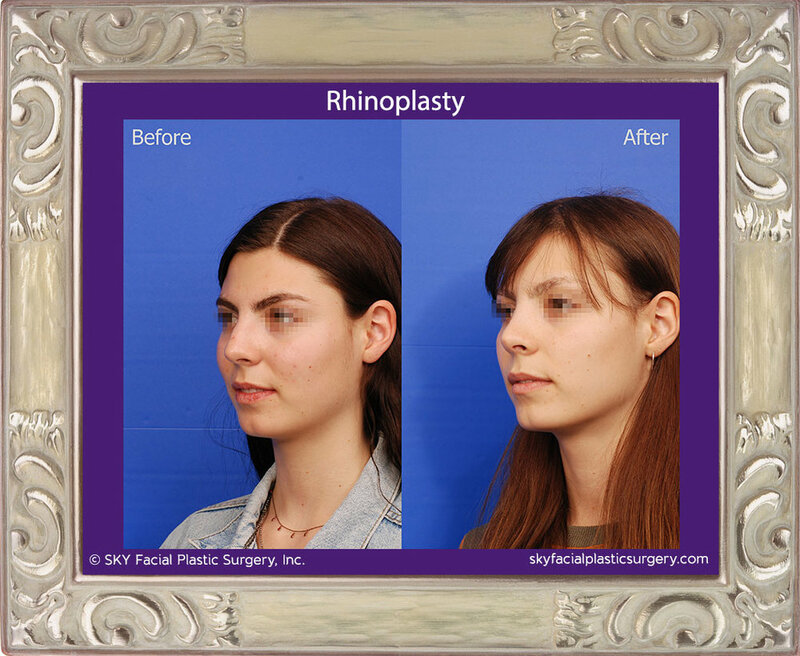 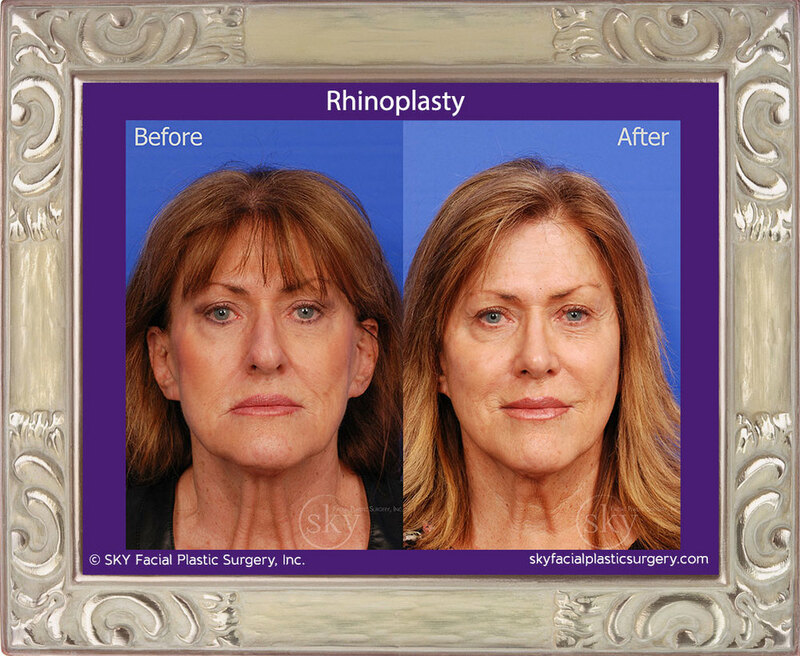 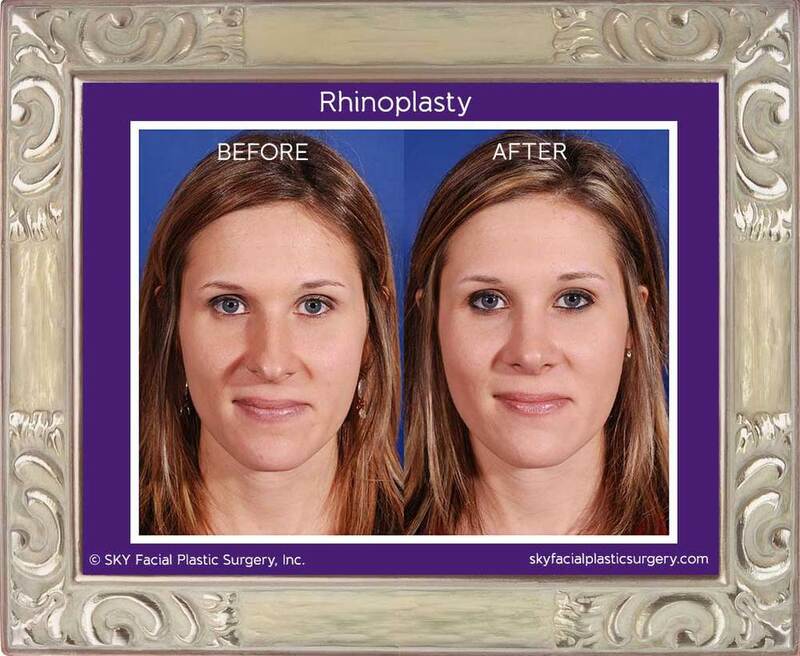 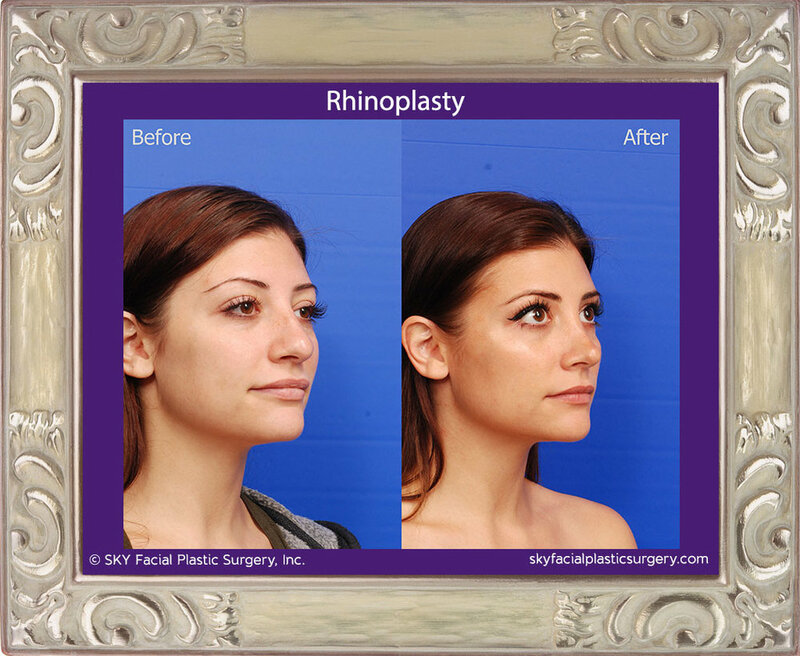 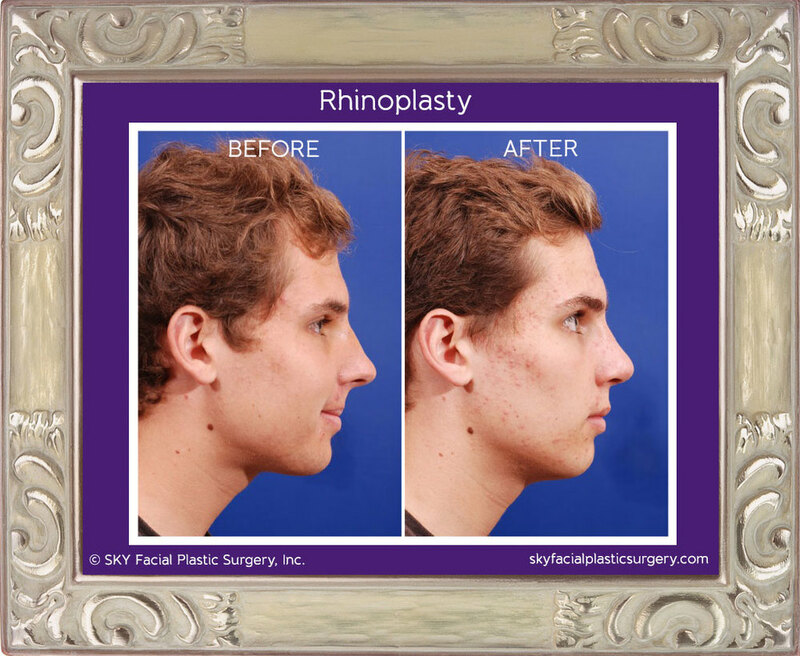 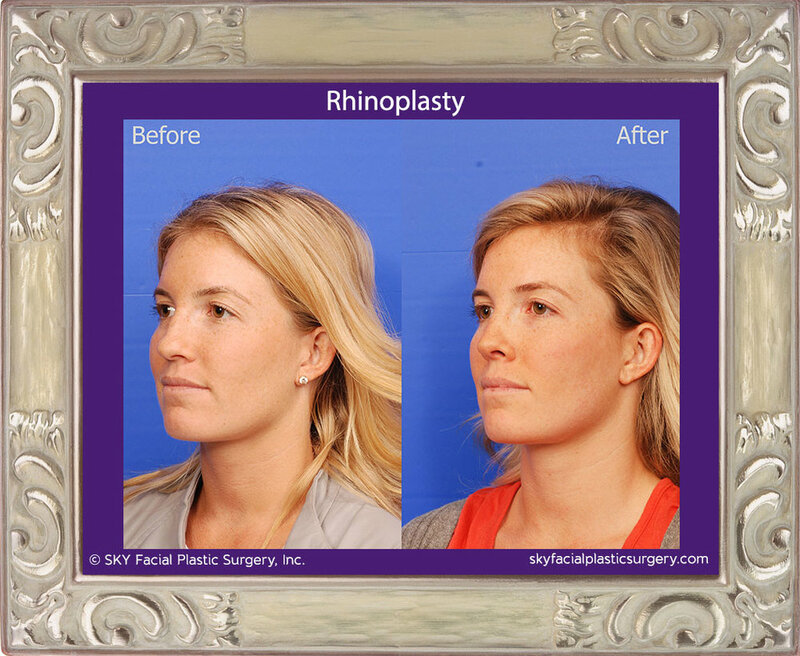 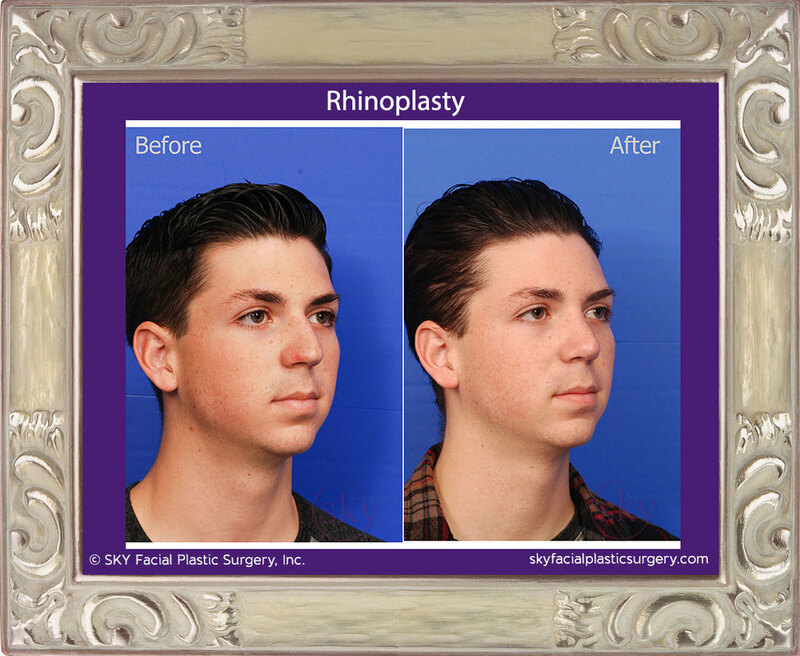 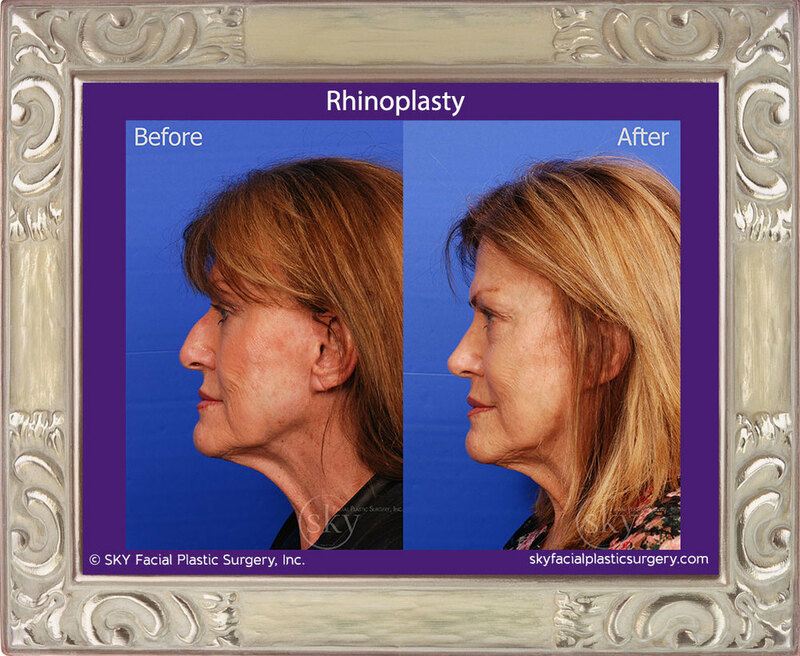 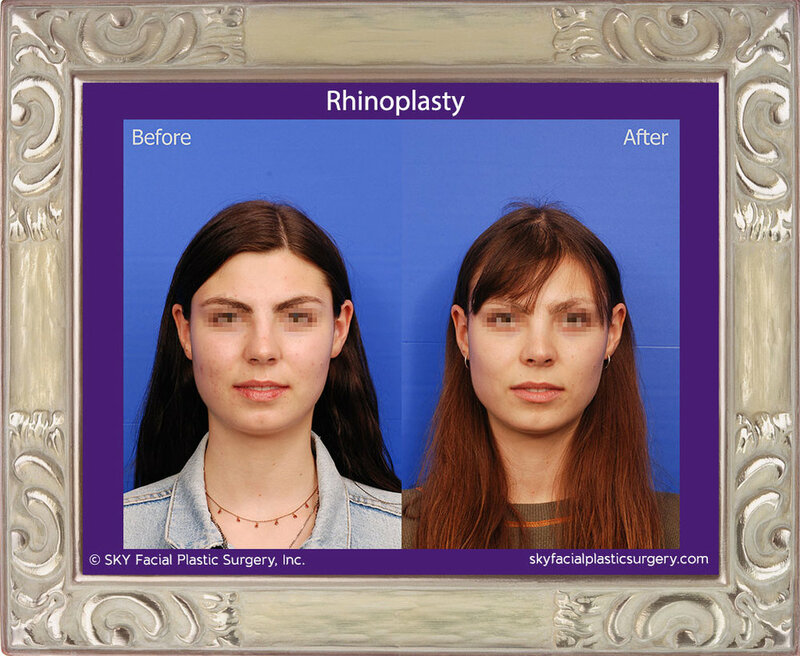 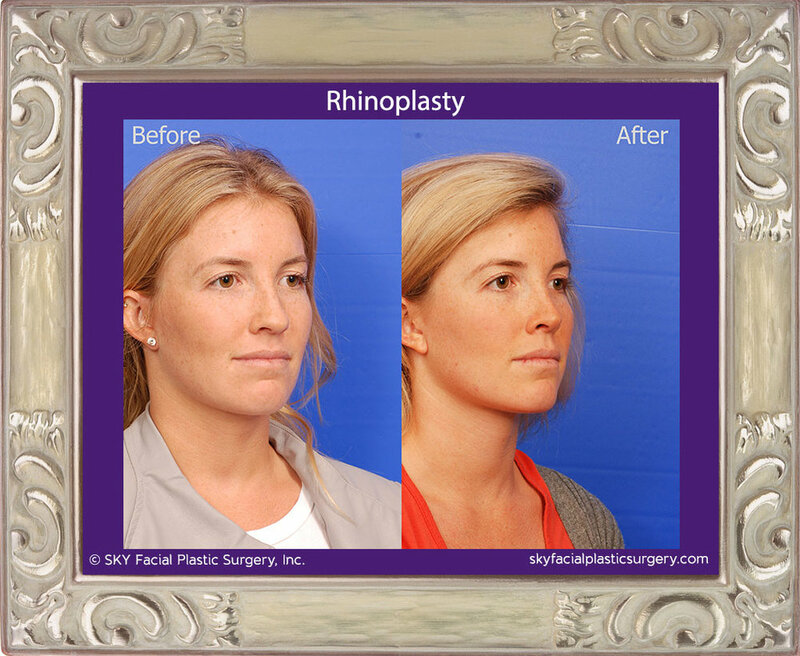 See before and after photos of our rhinoplasty patients. 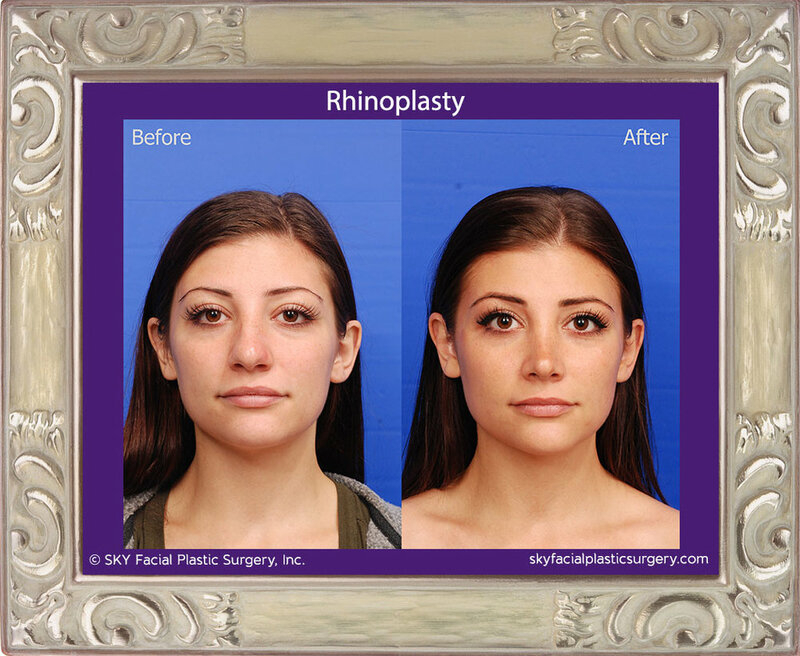 Our facial plastic surgeon, Dr. Sirius K. Yoo, is double board-certified and one of a select number of surgeons in the nation to complete a prestigious fellowship at Stanford University. 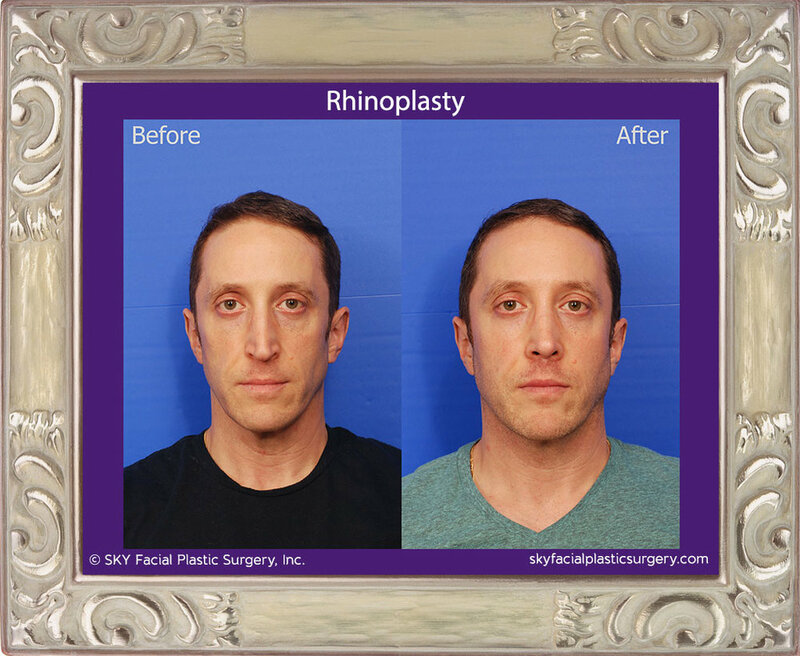 Dr. Yoo is widely considered the best rhinoplasty surgeon for natural-looking results. 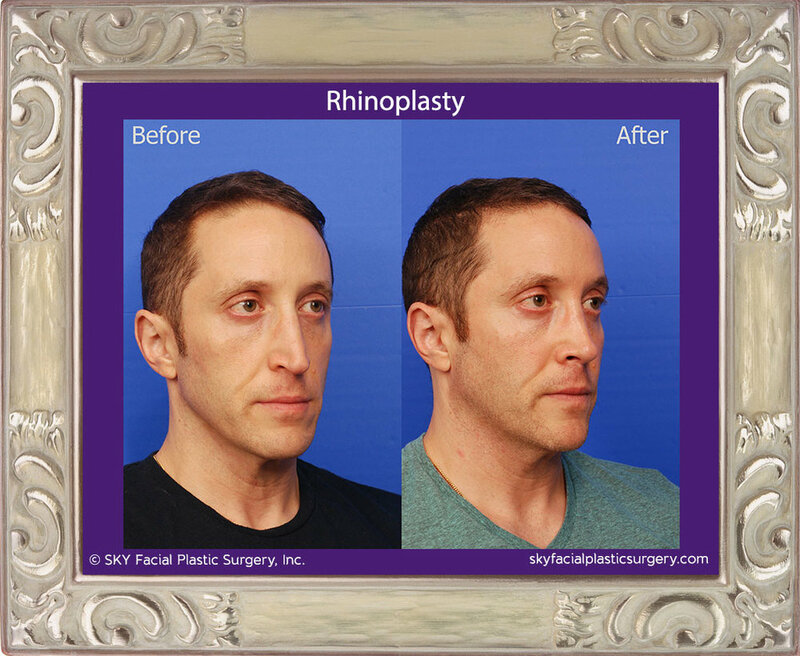 Trained in the most advanced rhinoplasty techniques. 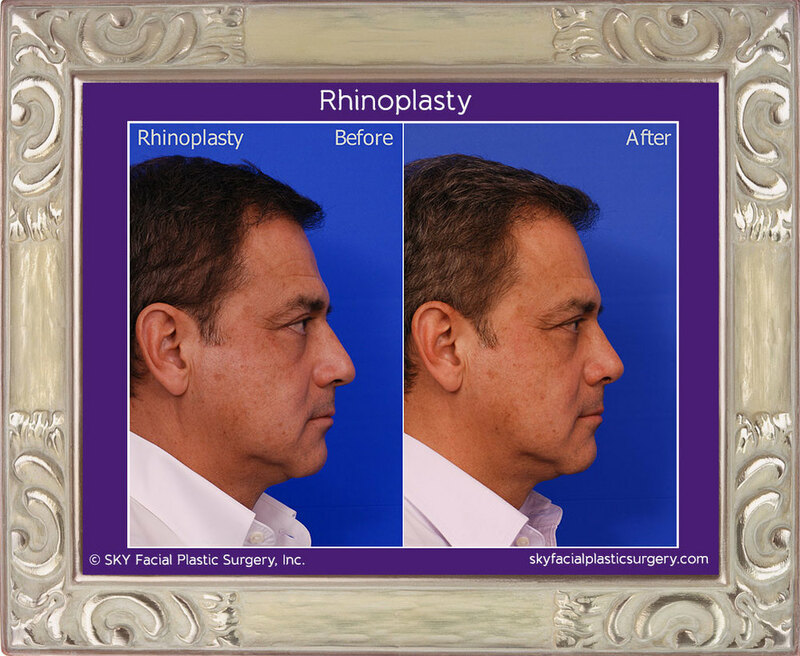 Dr. Yoo is often consulted by other facial plastic surgeons and colleagues for the most difficult and challenging cases. 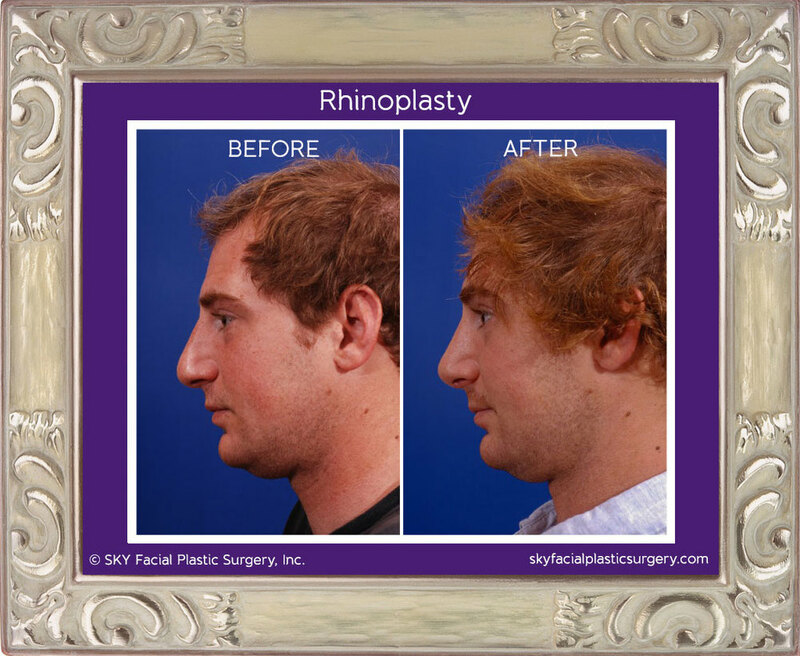 His articles, published in national journals, are frequently cited and have advanced the science of rhinoplasty. 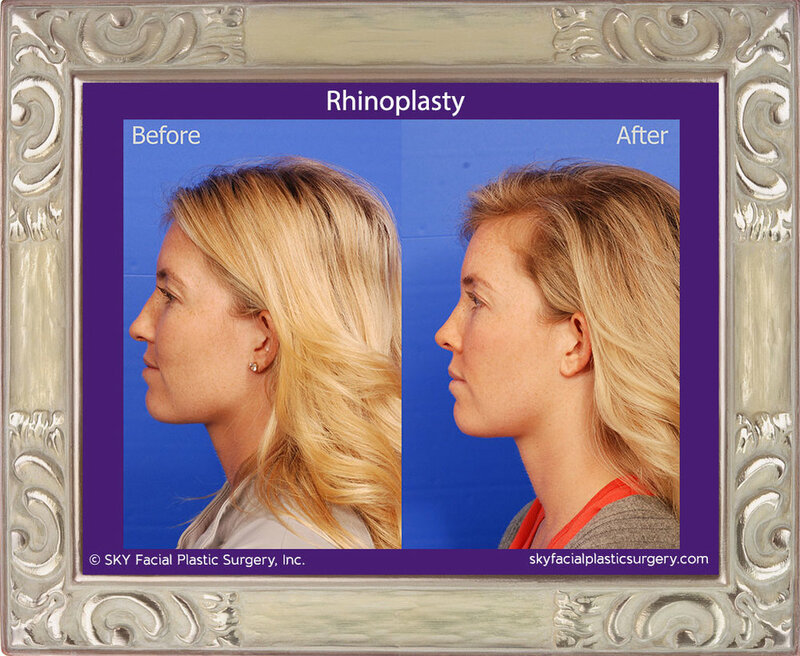 Consultations with Dr. Yoo are the best way to learn more about rhinoplasty and what to expect. 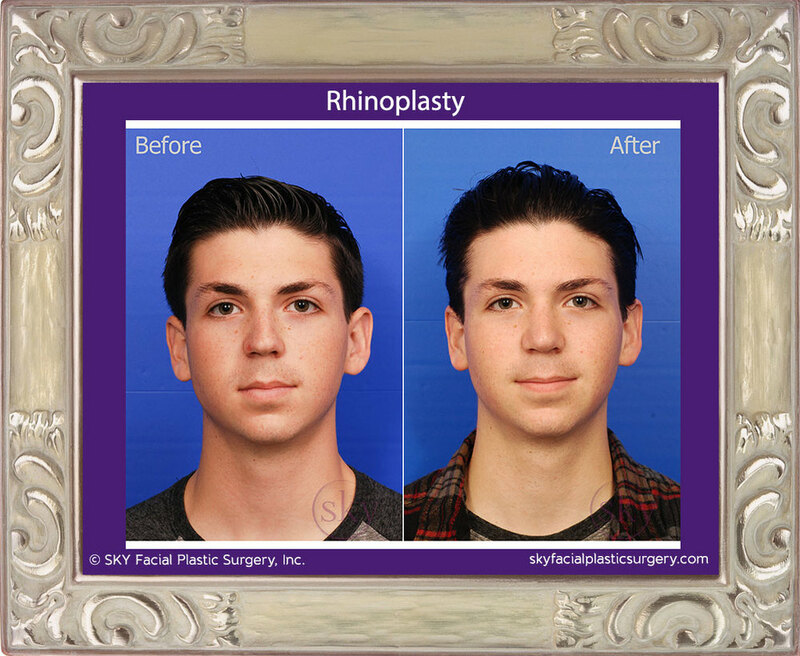 Please call (858) 381-4801 to schedule a consultation with Dr. Yoo at our north county San Diego office. 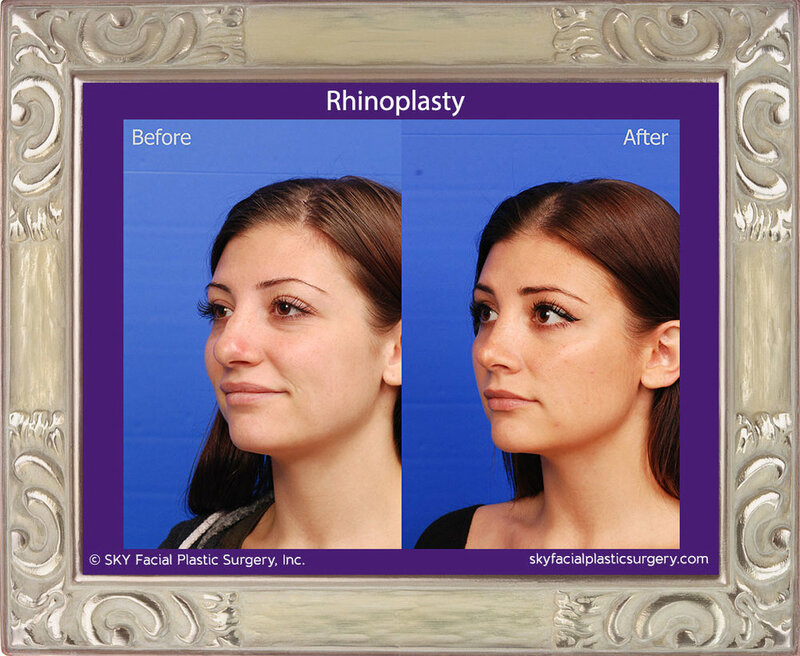 Read what to expect at a rhinoplasty consultation. 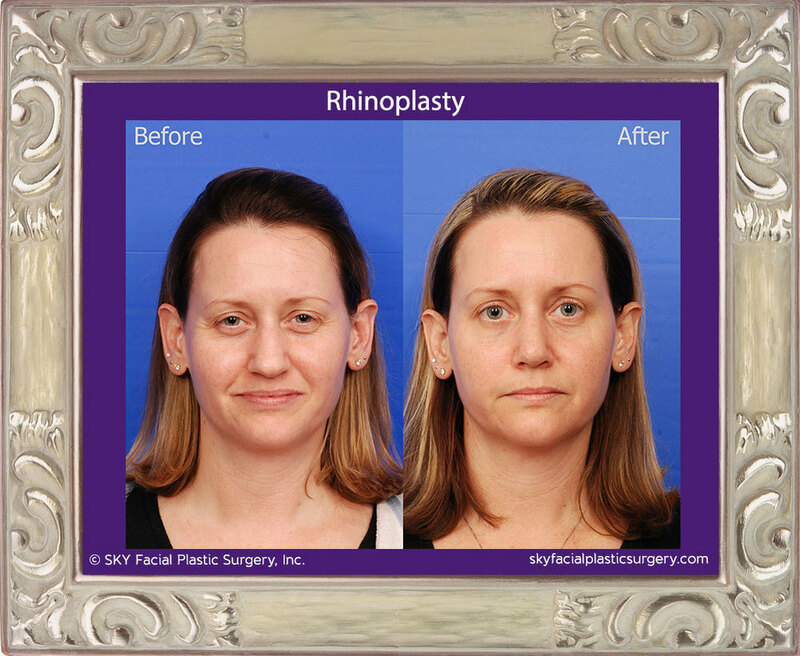 Bump/hump removal. 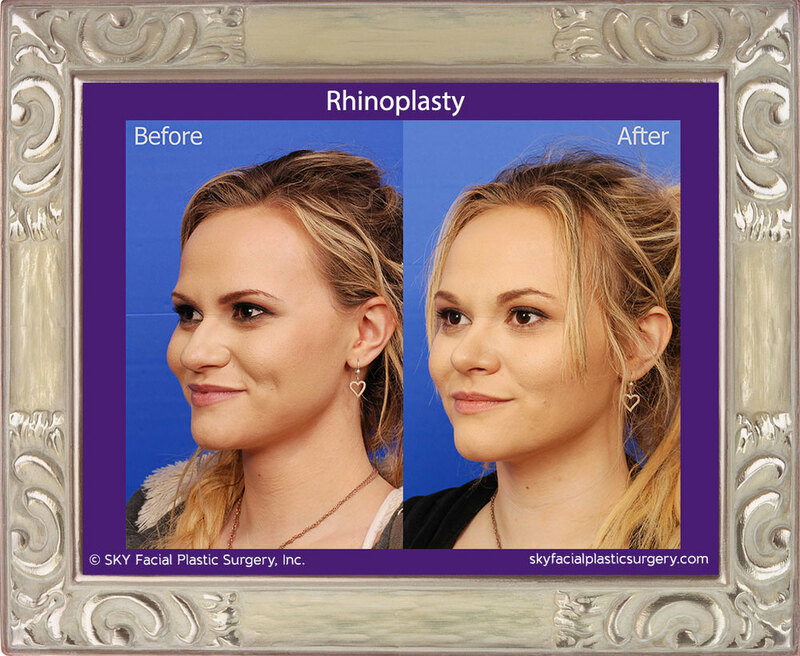 Tip narrowing and refinement. 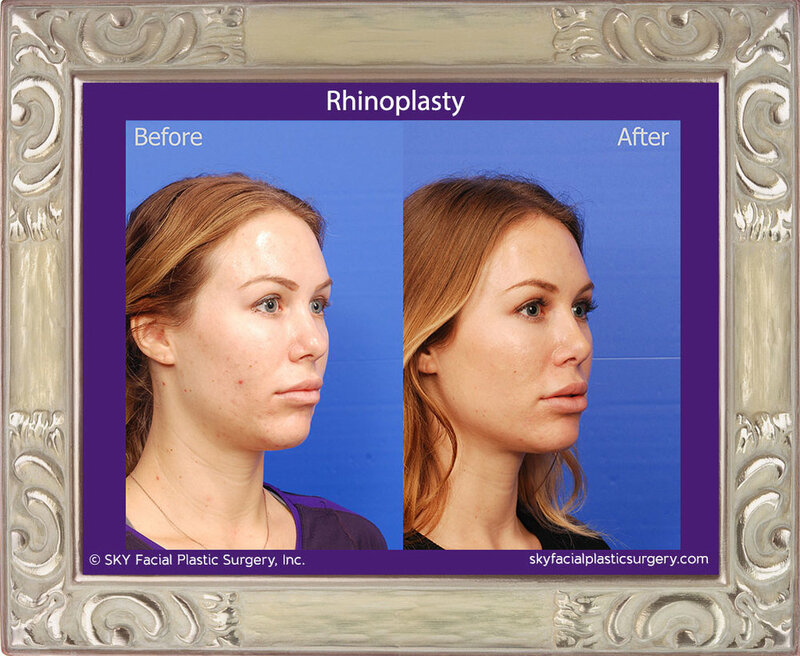 Bump/hump removal. 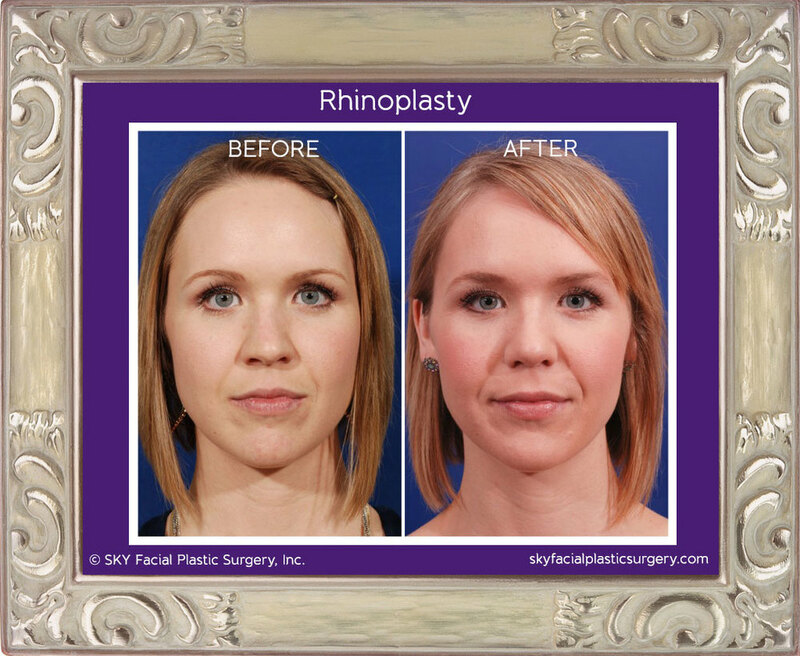 Tip refinement. 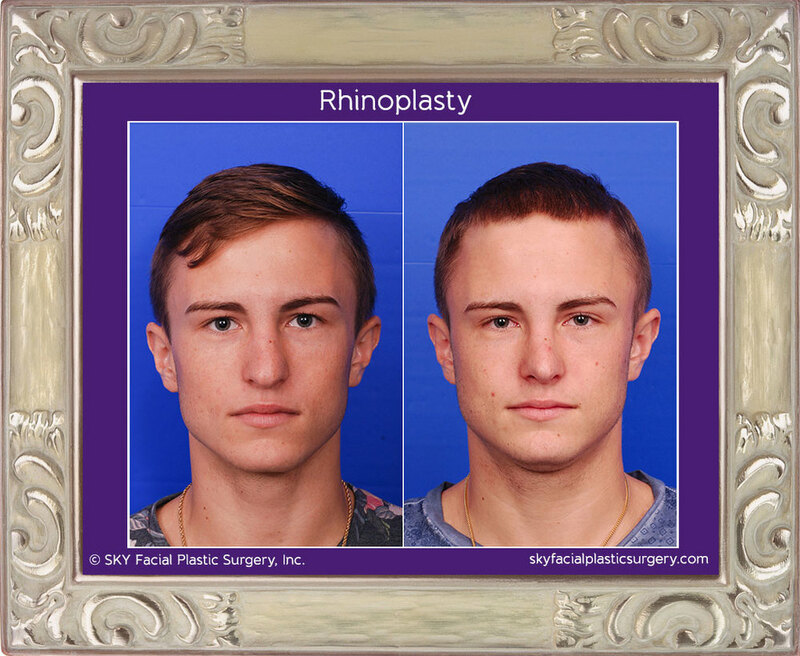 Improvement in symmetry. 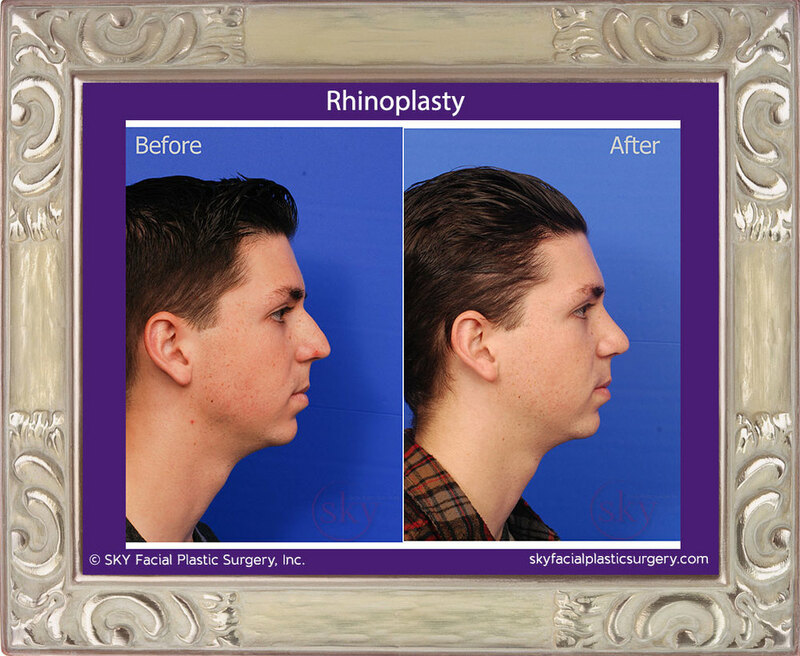 Removal of small dorsal hump. 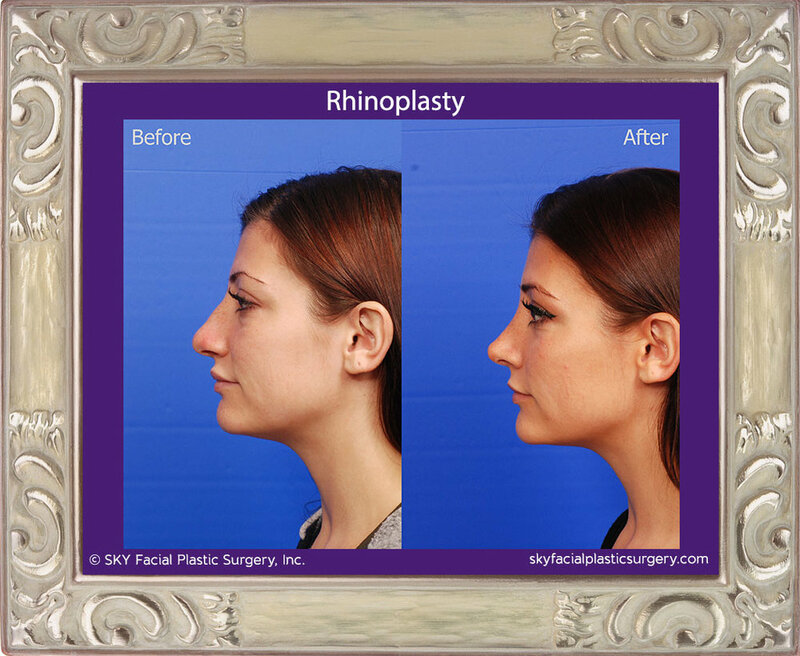 Refinement of nasal tip. 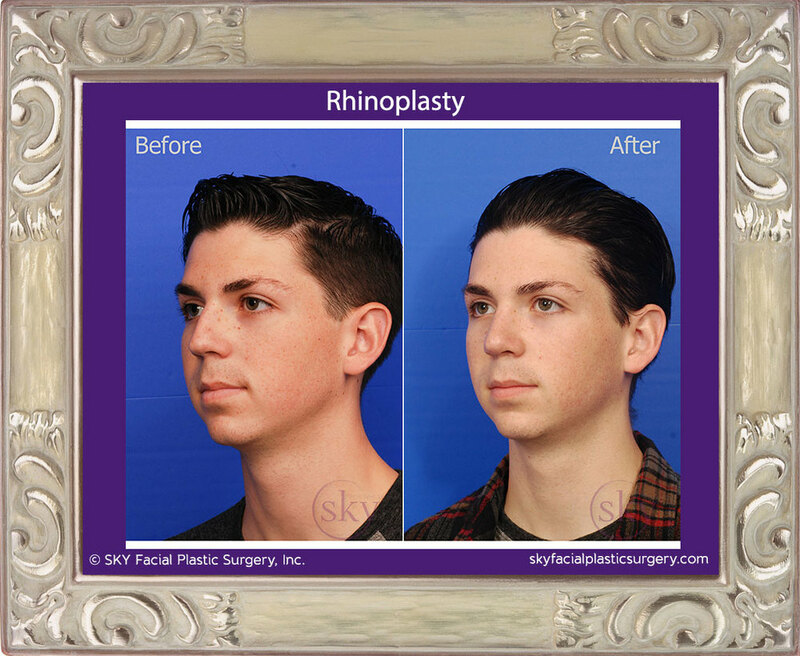 Small mole removed from chin. 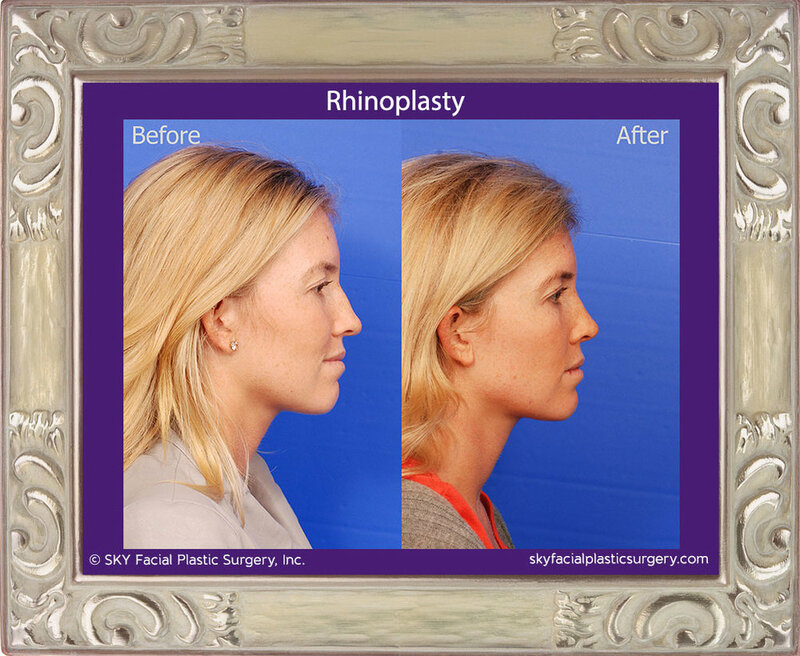 Dorsal hump removal and tip refinement. 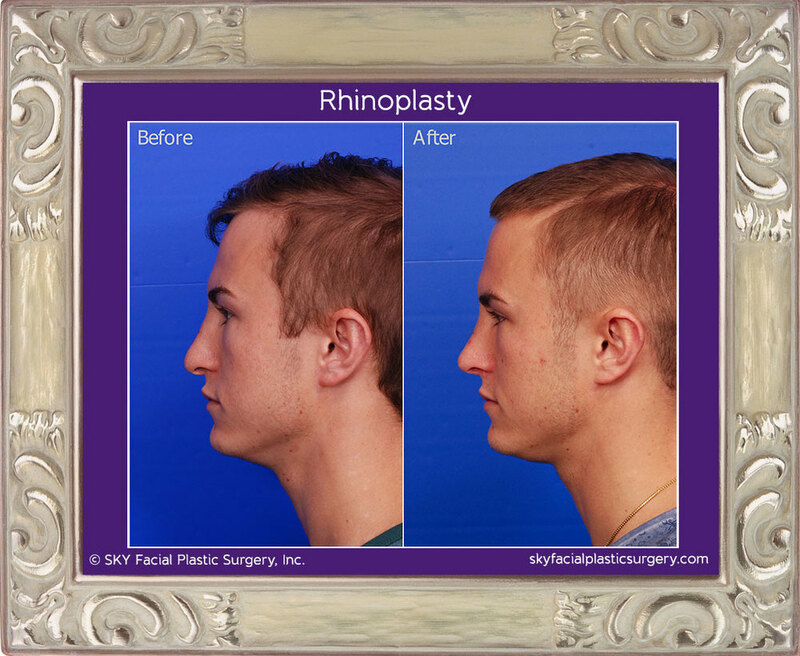 Narrowing of nasal dorsum and base of nasal bones, narrowing and refinement of nasal tip. 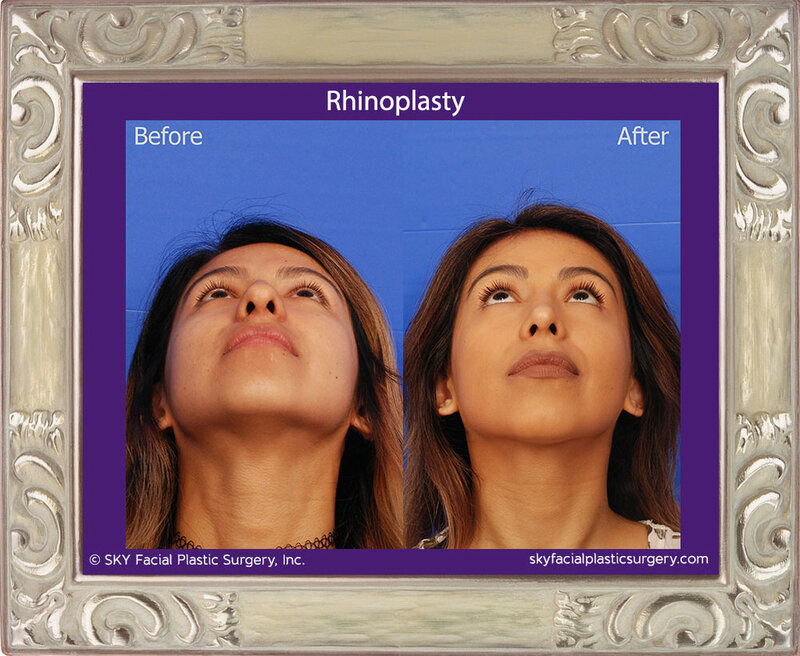 Removal of dorsal hump, refinement of tip and correction of hanging columella. 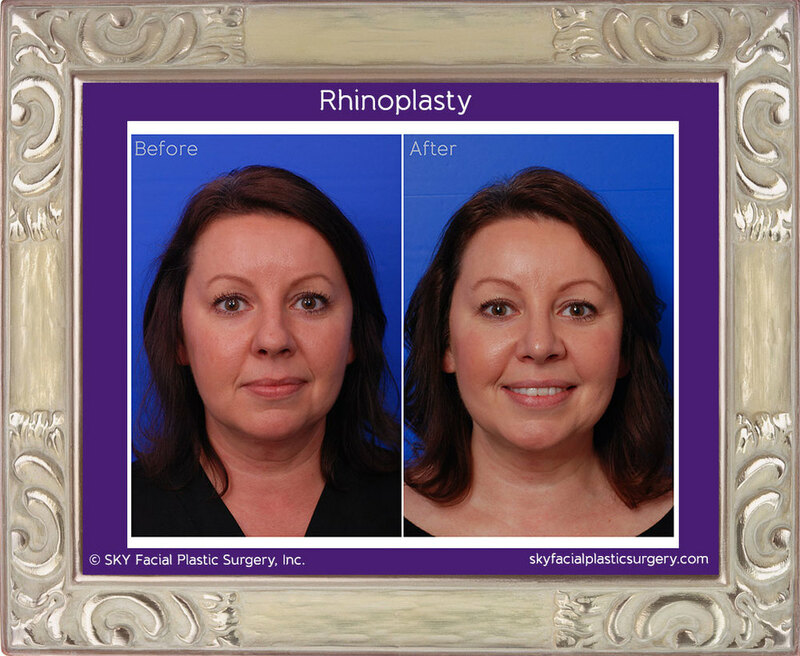 Bump removal, Symmetry Improvement, Tip refinement, Alar flare and nostril retraction correction. 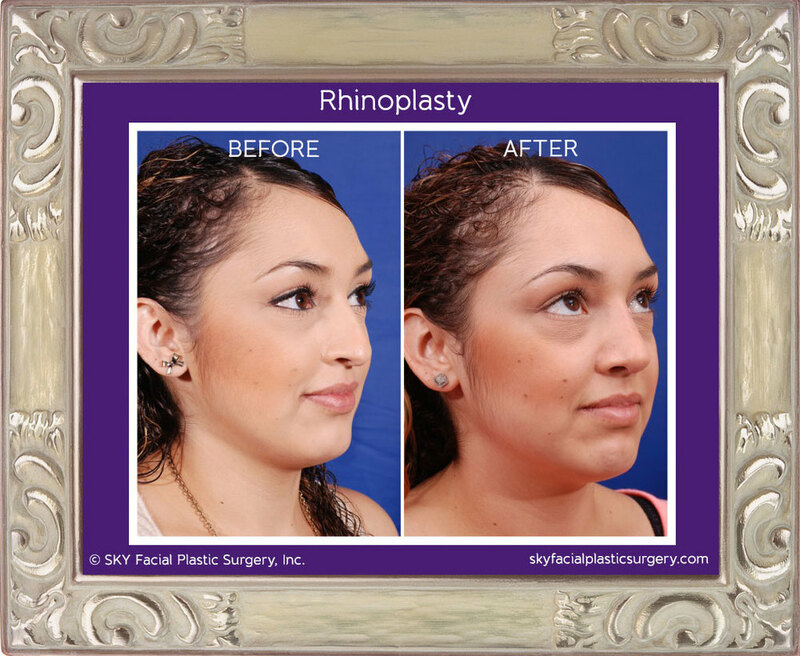 Bump removal with tip refinement and rotation. 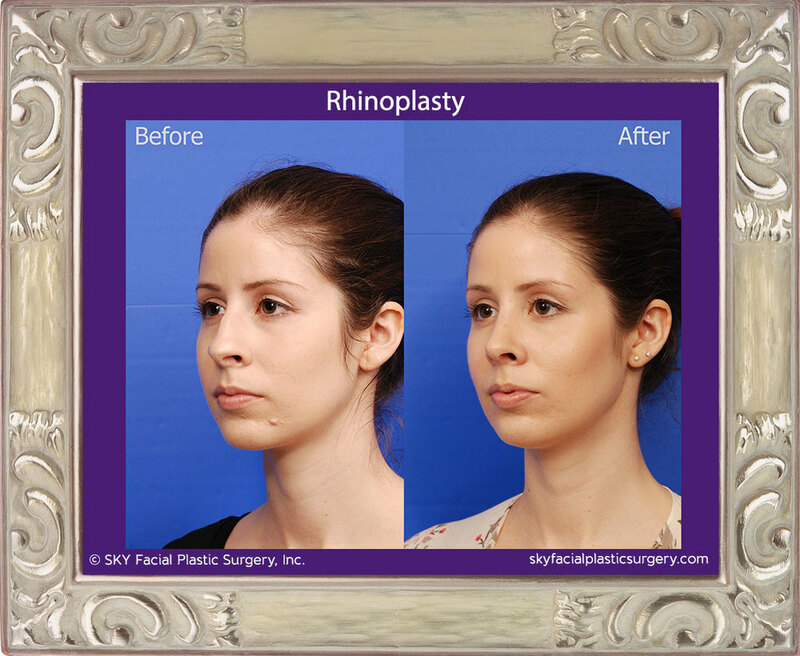 Rhinoplasty to straighten crooked nose, remove dorsal hump and refine the nasal tip. 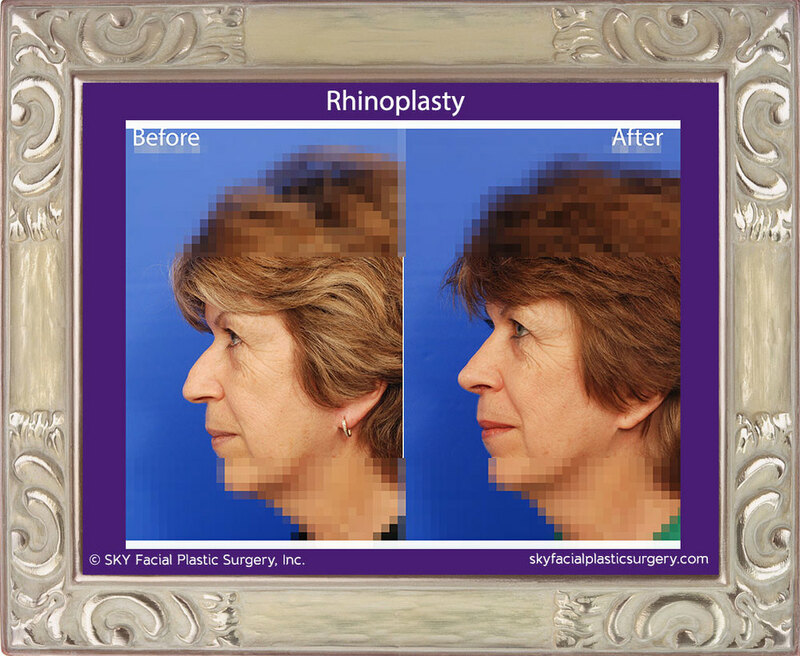 64 year old woman treated with rhinoplasty to remove a dorsal hump as well as rotate, reshape and refine the nasal tip. 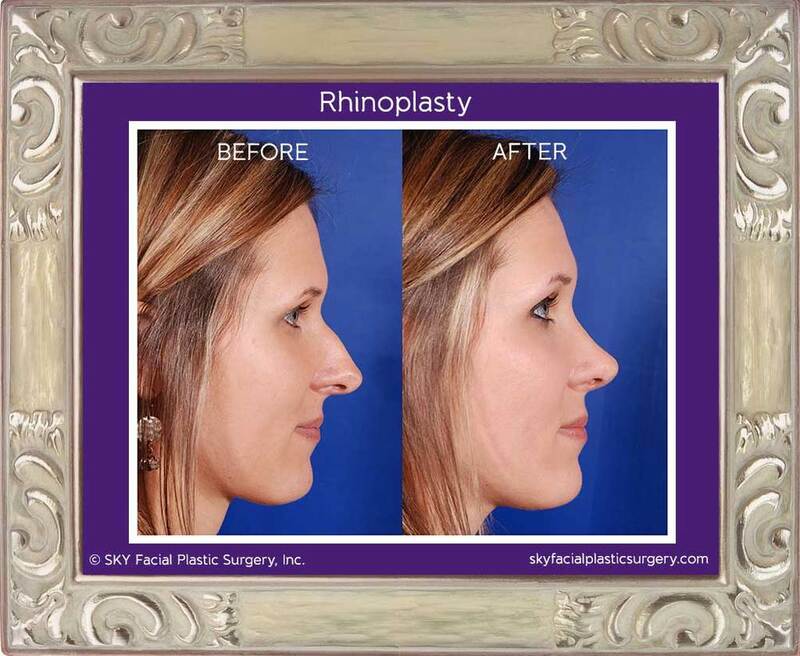 Prior skin cancer of the nasal tip left her with a noticeable divot that was also corrected. 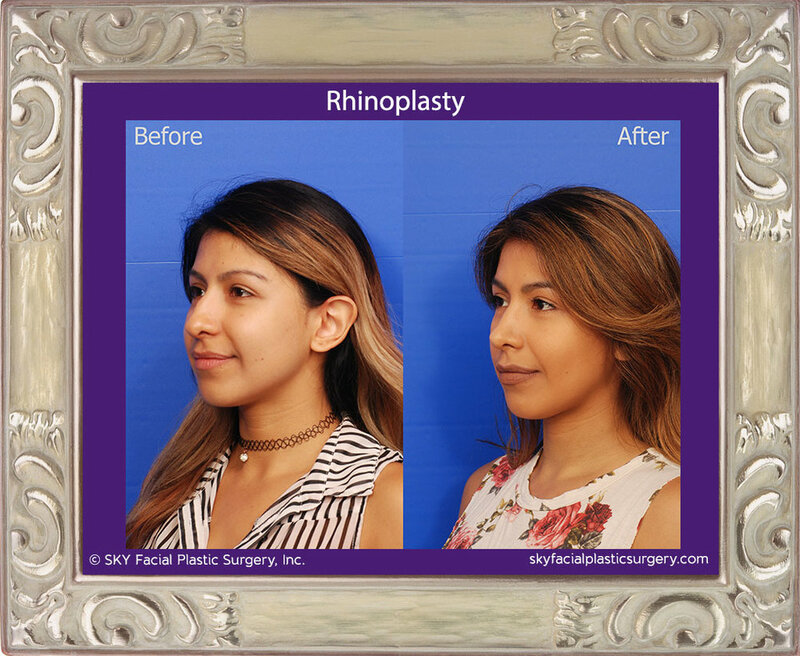 Rhinoplasty is usually performed under general anesthesia on an “outpatient” basis, meaning you can go home the same day. 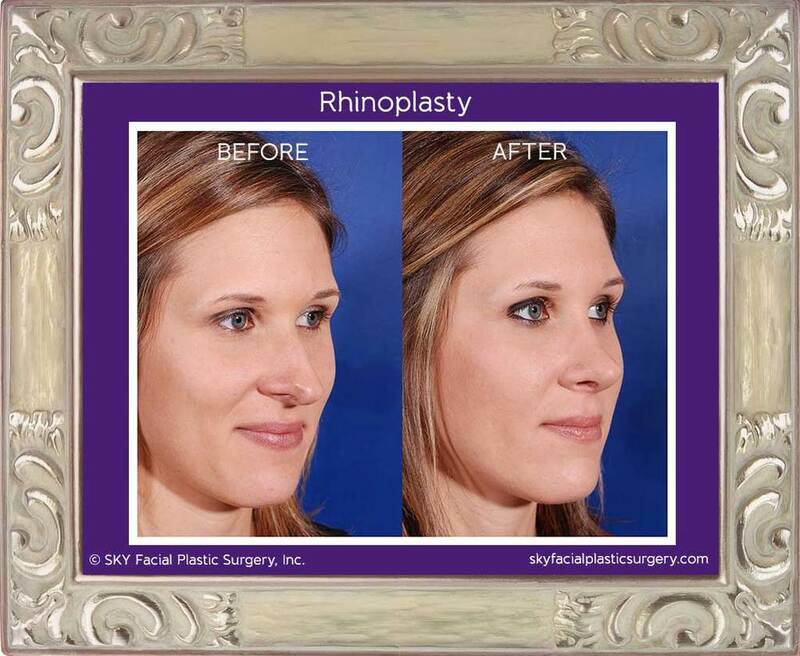 The surgery itself takes anywhere from 1.5 to 3 hours, depending on the complexity. 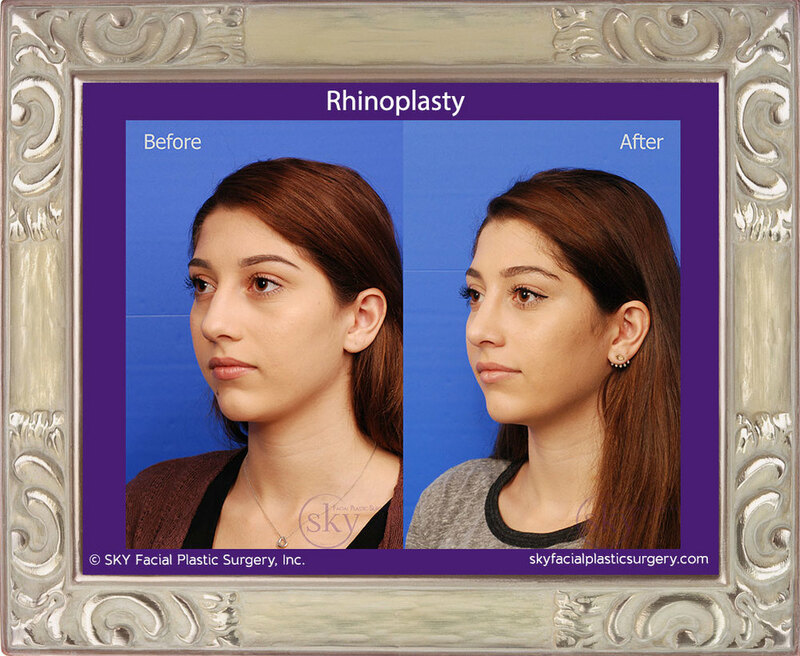 Your cosmetic rhinoplasty will be performed at SKY, in our fully accredited surgery center. 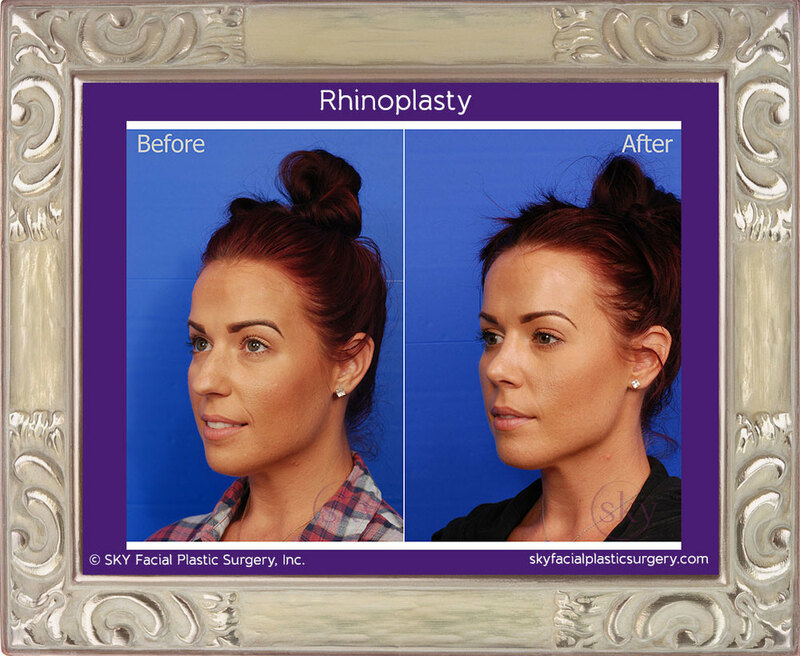 Operating out of our own onsite surgery center allows us to better control your patient experience. 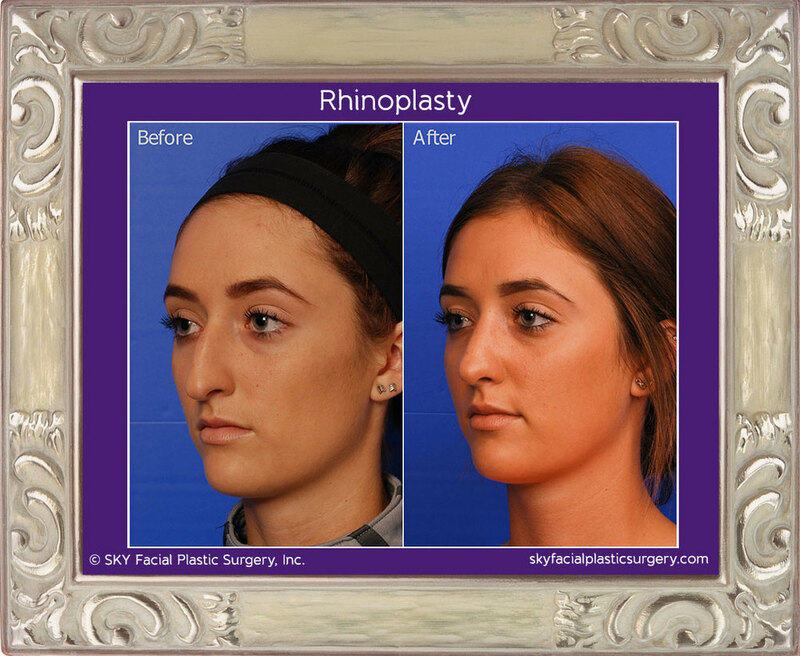 The check-in process is quicker, the entire surgery team is focused on only you, and you are assigned a dedicated recovery nurse. 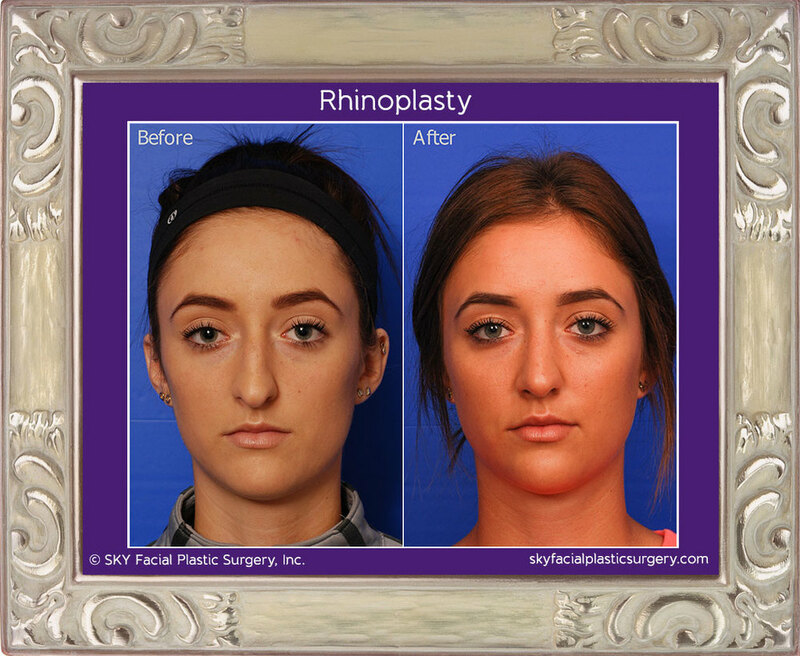 The anesthesiologists and nurses on our surgery team also work in San Diego’s largest hospitals, ensuring you receive the best standard of care. 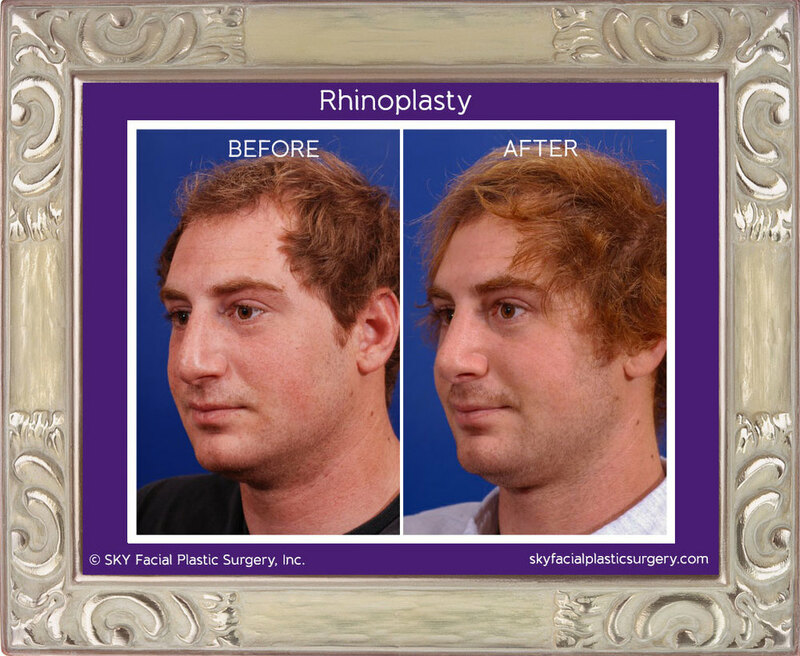 We recommend planning for a week of recovery at home. 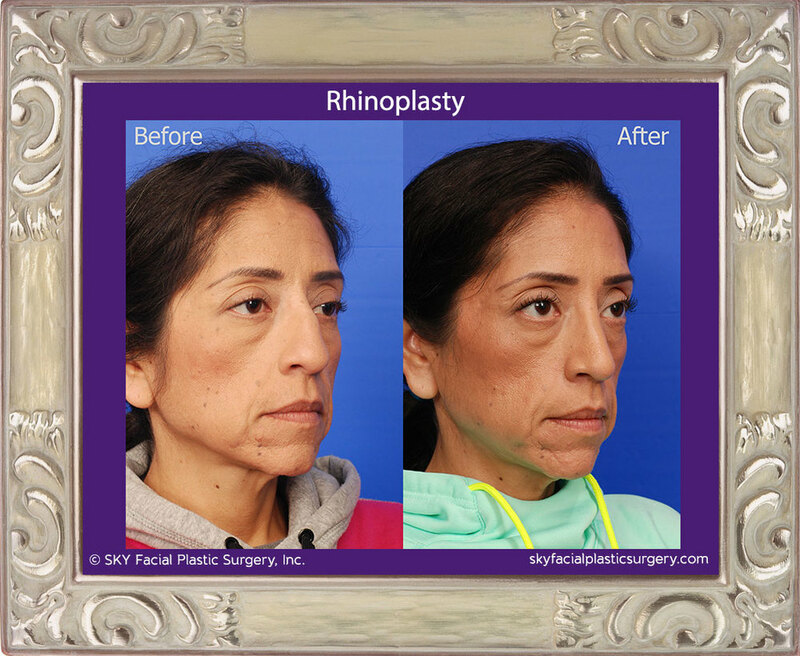 Dr. Yoo may place a splint on the outside of your nose for the first week to provide support during the most critical healing phase. 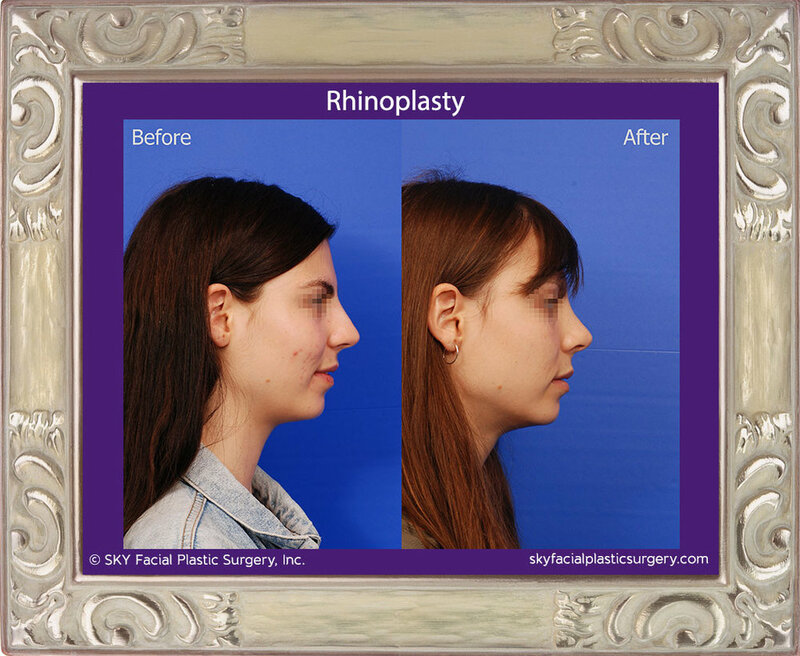 Your nose and the surrounding area will be swollen and possibly bruised. 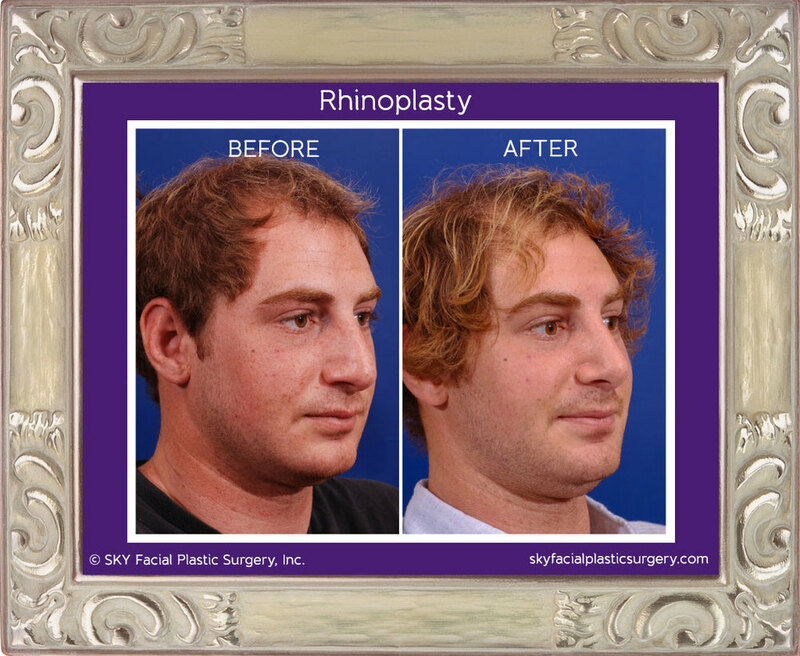 Most bruising resolves within 10 days. 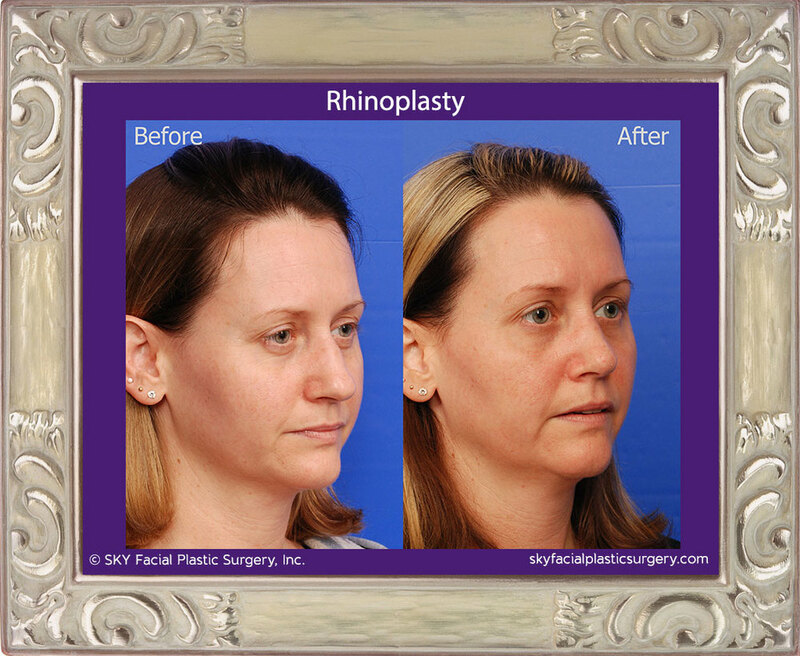 The swelling subsides more gradually. 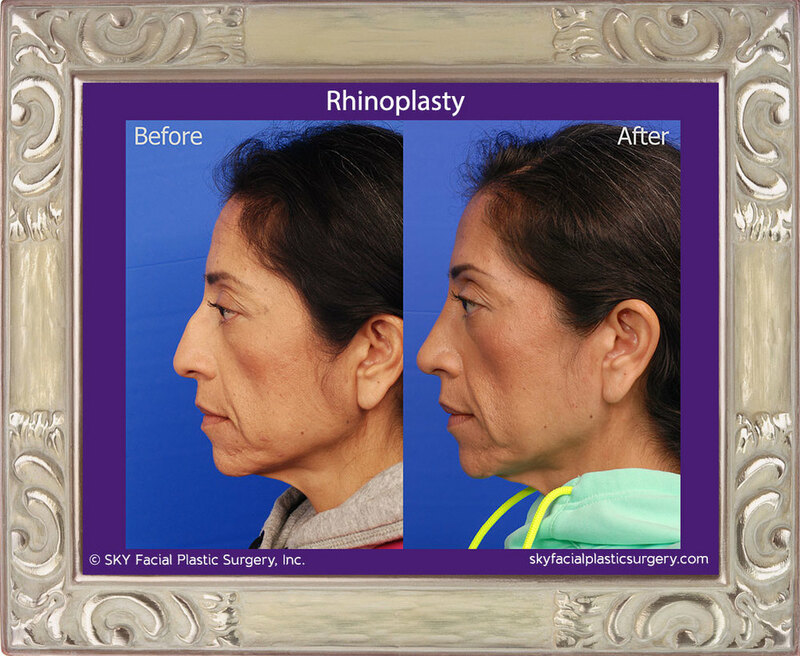 Dr. Yoo likes to say you’ll be “restaurant ready” in two weeks, meaning when you are out in public, most people will not be able to tell that you had surgery. 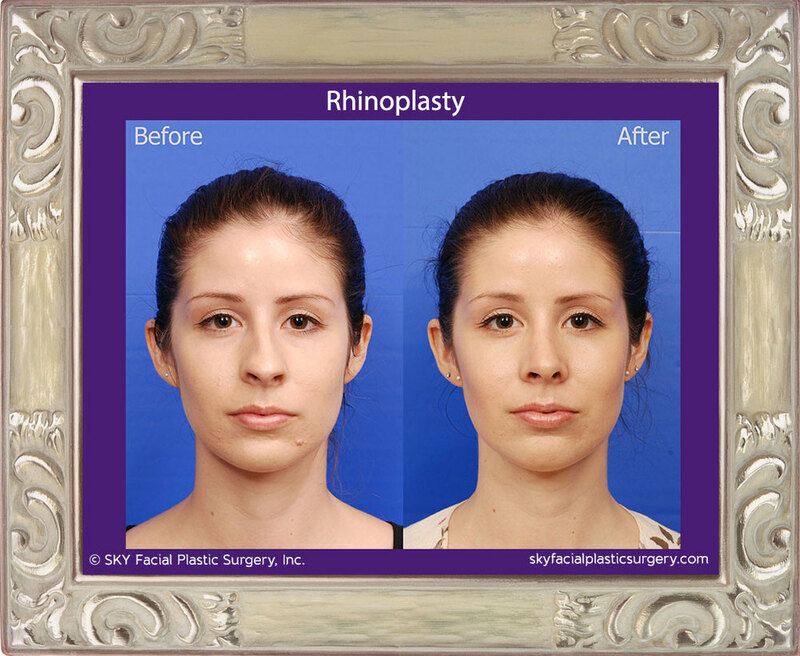 Dr. Yoo will want to see you after 1 week, 1 month, 4 months and 8 months. 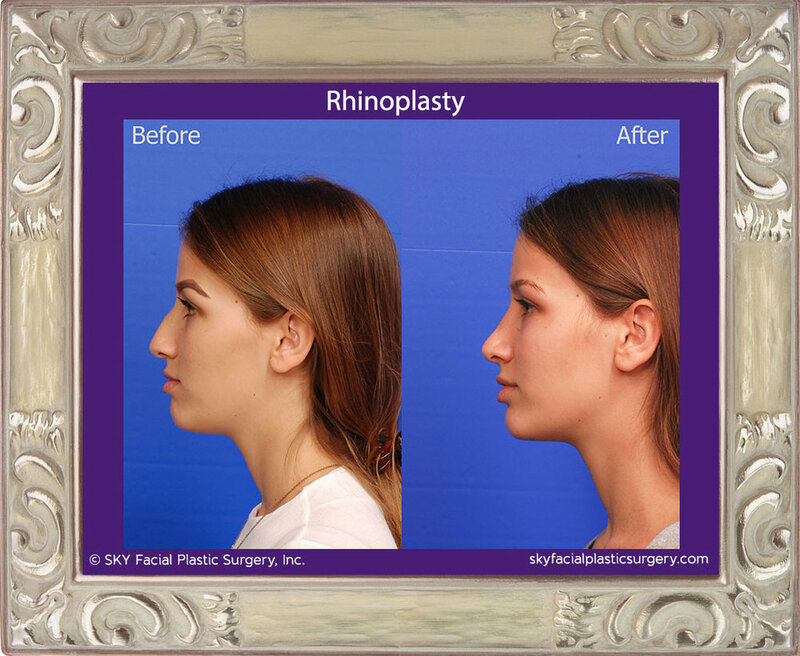 While most swelling resolves within the first few weeks, the swelling around the tip of your nose resolves very gradually, over the course of the year. 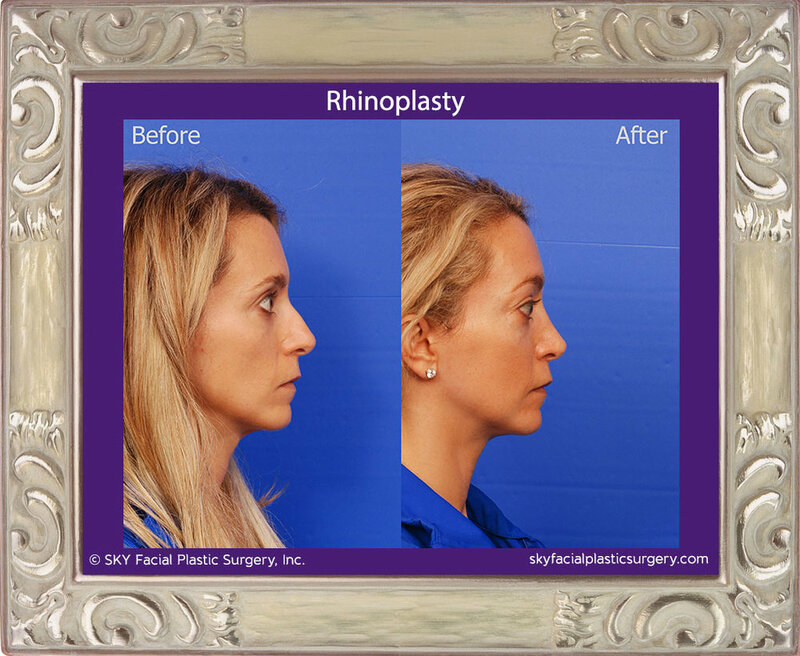 Read the diary of a rhinoplasty patient: her new nose review!